Join The Sustainability Project for a day of education and networking, plan your garden and stock up on organic seeds. This year's workshops will focus on stewardship and other skills necessary for living well in a changing world. Topics include: mycological landscaping, biochar, permaculture design, bioregionalism, financial permaculture, vermiculture, beekeeping, making kimchi and tools for personal and planetary growth. Throughout the day visit with local businesses and organizations, learn about local initiatives, check out the children's activities and catch up with your neighbors. There will be a lunchtime concert, a café featuring soups, stews and baked goods from local restaurants and kitchens, as well as Orchard Hill breads. Admission is $10 per person or $20 for families. This year's Seed Celebration will be taking place at the Hannah Grimes Center, at 25 Roxbury Street, Keene NH. Do your kids love 'creepy crawlies'? Would they like to win their own worm farm? Print out the picture of the red worm, have them color it and bring it with you to the Seed Celebration and give it to Jean Balamuth from Cook Hill Farm. All orders must be dropped off at the Seed Celebration on Saturday, February 10th or emailed to Lenoir McDougal at lenoir@emersonbrookforest.org by noon on Sunday, February 11th. Be sure to include product ID number, name, and quantity desired as well as your contact information. These orders are for seeds only, not Moose Tubers or Garden Supply. If you are hand-writing a form, please write neatly. We'll notify you when your seeds are ready for pick up at Green Energy Options. Thank you for your support! Seeding, tending, harvesting, storing and using medicinal herbs is such a wonderfully soul nourishing practice. In this class we will take a look at some of my favorite herbs to grow in this region and things i have learned through cultivating and making medicine with them. In this interactive presentation we will explore/ learn tools and new (old) models to deepen, strengthen and renew our relationships. To each other, our communities, ourselves and the Earth. Nicole Colvin-Griffin is a community organizer. Wild woman. Artist. Beauty weaver. Founder/ director of the Rise Up! Center for the Arts, Healing and CommUnity, Permaculture Designer. In service to her community and the natural world. Student of Life's Mysteries. Prior civilizations interpreted the world as consisting of "elements": earth, air, fire and water. While we know today that atoms are better descriptors of matter, these planetary attributes are nonetheless absolutely essential to life on earth. Our modern desires to both utilize and protect the planet have resulted in the proliferation of numerous issue-based organizations and activities, which often separate us and diminish our power for positive change. Returning to the "elements" as the basis for determining appropriate planetary management allows for a unified theory of environmentalism, one that everyone can agree on and work toward. Lionel Chute is the Director of Natural Resources for Sullivan County, which oversees the management of County lands and provides county-wide environmental outreach through the Sullivan County Conservation District. He also currently serves as a Commissioner for both the Upper Valley Lake Sunapee Regional Planning Commission and the Connecticut River Joint Commissions. Lionel has an Associate Degree in Forest Technology and a Bachelor's Degree in Forest Science from the University of New Hampshire. Prior to his current work for Sullivan County, he spent 5 years as a forester and ecologist for the Society for the Protection of NH Forests (SPNHF) and 6 years as Administrator of the NH Natural Heritage Bureau at the NH Division of Forests and Lands. Valerie Piedmont, founder of The Sustainability Project, lives off-grid in the Emerson Brook Forest with her husband, Pablo. In addition to homesteading, they run a family business, Green Energy Options as well as a bed and breakfast. According to Valerie, "Humans are brilliant, loving, cooperative, caring and ingenious by nature, completely up for the challenges of these times". "Designing the Self" draws on permaculture principles to plot out a course to our happiest, most alive, intelligent, and beneficial relationship to ourselves, each other, and the natural world. Join in this fun workshop for skill building and the sense of being part of a loving, caring community. Mycological Landscaping: Breaking it all Down! David Wichland is a naturalist, mountain guide, and certified permaculturalist! He became very interested in the pursuit of agroforestry in 1998 and discovered the power of mycology in the whole of this model. He has been studying and experimenting since then. Dave teaches permaculture design with a mycological twist at nature centers, schools, garden clubs and to individuals as a consultant. He grows fresh mushrooms, mushrooms spawn, and experiments with growing mycelia in agroforestry and gardens. He also spends time as a carpenter, husband and father of 3 children! This workshop will discuss the significance of mushrooms in the world and why they are so important to the garden, forest and our lives. Different examples of growing mushrooms will be shown. The Caterpillar Lab is a NH non-profit organization located in Marlborough. The Lab raises thousands of native caterpillars at an open-to-the-public facility and brings them to museums, nature centers, and schools, where they present these underappreciated, but undeniably awesome creatures. Their programs highlight the diversity of our local ecosystems, encourage exploration, teach unexpected lessons in insect biology, and work to increase overall environmental awareness and respect. They reach tens of thousands of people with these programs each year, with most learners receiving one-on-one attention at their displays. Their underlying goal is to spark curiosity, exploration, and discovery. They work to surprise people about their own natural heritage every day and to ensure that they will never look at their "old familiar places" the same way again. Visit their table to see some caterpillars 'at rest' and learn how to attract these insects to your garden. Join Jennifer at the Seed Art! Living Prayer Mandala for a short ceremony to bless the seeds and sing awake the beauty of the coming season. Bring your own seeds to the circle if you have them with you! An alter to the wisdom of seeds. A prayer for awakening, growth, health, vigor, strength, beauty, abundance, and nourishment in the seasons to come. Gratitude for this moment in the great lineage of past and future seed generations. Stop by to offer your prayers, dust your own seeds with blessings, and pause to reflect on the immense beauty of these potent beings. Tom Prunier makes kimchi in Putney, VT.
Marty Castriotta enjoys growing and eating good food. He and his wife Ellen developed Village Roots in 2004 (on the Orchard Hill Community in Alstead, NH) and have been growing nutrient dense food for the region ever since. Today, their focus is primarily on raising pastured meats, growing perennial fruits and herbs, and designing highly integrated farm systems. Marty has a BS in Biomedical Engineering and an MS in Environmental Studies. He has been farming since 2003 and currently teaches Humans Designing with Nature at the LEAF Charter School in Alstead. Understanding natural water cycles and taking action to restore them is critical to alleviating climate change that has been brought on by the longterm dehydration of the continents through poor land management by humans. We need to be soaking up rain in the land instead of channeling it rapidly into rivers to run down to the sea. Beavers are nature's experts at infiltrating water into the land. Their dams provide numerous wetlands and ponds that retain water, prevent both flooding and drought, and provide habitat for a wide variety of plants and wildlife. Jan will present on the interconnections of beavers, water and climate. She will be joined by Skip Lisle, inventor of flow devices that solve human-beaver conflicts in a way that does not harm the beavers. 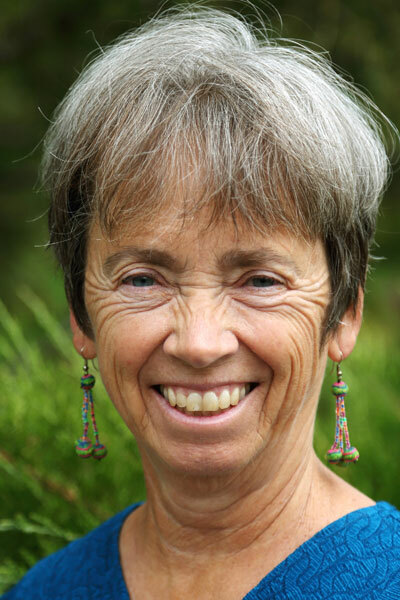 Jan Lambert, editor of The Valley Green Journal, is keenly interested in water conservation and has been involved with numerous water-related projects and programs in New England and beyond. Jan shares the powerful ideas of the New Water Paradigm, based on the research of Slovakian hydrologist Michal Kravčík and others, information that is primary in her focus on hopeful solutions for climate change and worldwide drought, flooding and poverty. Her book Water, Land and Climate-the Critical Connection features about twenty contributors from around the globe, emphasizing water restoration employing rainfall retention measures; it also contains the full text of A Global Action Plan for the Restoration of Natural Water Cycles and Climate, coauthored with Dr. Kravčík. The book is dedicated to beavers for their critical role in water retention. When we gather to explore and celebrate the potent wisdom held within the seeds, we connect deeply with our own strength and resilience. In this circle we will activate abundance, beauty, nourishment, and joy to carry forth the greatest potential within ourselves, our communities, and our gardens. Bring seeds, bodies, and hearts that you would like infused with a big dose of energy and intention. Guided drum journey best for ages 10+. Jennifer is a local gardener, herbalist, childhood educator, and community organizer. She designs, installs, and maintains perennial flower, herb, and vegetable gardens around the Monadnock Region. Jennifer thrives in the fertile edges of philosophy and technique by studying, engaging with, and utilizing the synergistic elements of various approaches such as permaculture, biodynamics, bionutrient, biointensive, organic, traditional, and native methods. An active member of the New Hampshire Permaculture Guild, and co-organizer of NH Permaculture Day and the Northeast Womyn in Permaculture gathering. Jennifer devotes much of her time to offering gratitude to seeds, plants, soil, and water through work, prayer, song, ceremony, art, and reverent observation. Passion is what it's all about, and Jodi Turner has that for sure. She's been a beekeeper for over 15 years, and in that time has taught several hundred people in the Monadnock Region and beyond, how to get started, and the high importance of this partnership, and keeping healthy bees. During this presentation we will take a look at where bees live and how we can encourage them to visit our yards. What you need to ask yourself is "Why do I love bees & other pollinators, and how can we work together for pollination, or perhaps even a little sweet honey. There are low-cost hives that you can build yourself for Mason bees, who are excellent pollinators. Or you can look into hives for honey bees: Langstroth-style, top bar, Warre, AZ, etc. Or you can just plant seeds and trees that offer a variety of food sources for these important and amazing little creatures. Come and learn more about how you can make a difference. During this hands-on workshop, we will cover everything from how the current financial system works to how to read and write financial statements. We will also look at important topics in business development: entity selection, funding, and accounting. You will understand why corporate finance is how it is and how you can use permaculture principles to live your values while enjoying greater	success. Katherine holds a BA from NYU with business training at the Stern School, is completing a Master's in Accounting from UMass Amherst Isenberg, and has given talks on financial permaculture in the US and Canada. She looks forward to growing native berries and fermenting more when she has a homestead. In Hebrew the word for human is "Adam" and the word for earth is "Adama". The biodynamic preparation uses six herbs to re-enliven and heal the earth. In this workshop we will explore these six herbs: Valerian, Dandelion, White Oak, Stinging Nettle, Chamomile and Yarrow. We will explore stories, history and their use as medicine for both humans and the earth. Lior is an herbalist and a biodynamic gardener. Her passion for local food and local traditional medicine inspired her to found Bee Fields Farm with her husband Elad. Bee Fields Farm is home for a vegetable CSA, more than 100 different medicinal herbs, goats, chickens and bees. Lior's love for the local plants of New England inspired her to cultivate "At Risk" species and turn Bee Fields Farm into a United Plant Savers Sanctuary. Her faith in the healing qualities of herbs, the lessons she learned from the plants and her experience with using herbal medicine for over 15 years guides her when preparing remedies. Permaculture strategies for raising chickens! Another chicken workshop! This time with permaculture in mind. Let's get the most out of our flock, while making our lives and theirs that much more enjoyable. I'll focus on a few main points for the presentation. Food, housing, work purpose, and winter strategies (for us New Englanders). We'll discuss these topics and how, when looked at from a permaculture stand point, they mesh together to create one, symbiotic, chicken work force. A work force that is fun, rewarding and easy to manage. Let's try and close that loop! My name is Eric Zablowsky of Seven Generations Farm and I've been homesteading and practicing permaculture in southern New Hampshire for the past three years. Because biochar can stabilize water and nutrients, reducing losses and the need for inputs, it is good for microbes, roots and plants. Learn how to make it and use it. Doug Clayton is a designer-builder, homesteader and permaculturalist who has been seeking his bliss at Land Trust at Gap Mountain in Jaffrey for the past 36 years. He has been a biochar enthusiast for 11 years. Doug will be joined by Hugh McLaughlin, PhD, PE who has a professional consulting practice in Chemical Engineering. He is an expert on the properties and production of chars, created by pyrolyzing biomass, and the subsequent conversion to activated carbons. He has published extensively on biochar and biomass derived heat production, including co-authoring “All Biochars are not Created Equal and How to Tell them Apart” (2009) and “U.S. Focused Biochar Report: Assessment of Biochar’s Benefits for the United States of America” (2010). Jean Balamuth from Cook Hill Farm Vermicompost in Alstead, NH will expand on the hows and whys of: Vermiculture (the activity of raising worms for bait, animal feed, human feed, and sale), Vermicomposting (the activity of using worms to turn waste into compost), and Vermicompost (Worm Castings, the 'end product' from worms). Pledged Organic, using natural and local inputs to farm production practices, she will explain how you can build soil health and fertilize plants using this nitrogen rich product. Bring questions and curiosity for a lively exchange. Jean grows from seed, planning for the future of her organic farm. This workshop will include the basics about how to get started, tools needed, what to plant and tips about minimizing weeding. Leslie Kreek planted her first vegetable garden over 35 years ago. She had no previous experience with gardening, only a desire to learn. Thanks to the sage advice of elderly neighbors, a few books and much trial and error, Leslie has grown hundreds of pounds of delicious tomatoes and many other vegetables over the years. She also completed the Master Gardener's Training sponsored by the University of New Hampshire's Cooperative Extension. She believes that gardening is a wonderful way to feel creative, eat wholesome and organic food, save on grocery bills, and feel a sense of connection to nature. Tad Montgomery works in energy conservation & renewable energy, regenerative agriculture, agroforestry, permaculture design, bioregional organizing, ecological wastewater treatment, biofuels, mycology & mycoremediation, alternative/regenerative economics, and alternative health care. In his spare time he plays ultimate, pours waste vegetable oil into his car, and romps in the woods with small children. He is currently writing a screenplay for a movie loosely based on the life of Edgar Cayce that he hopes will turn the health care industry on its head.